and which tends the amplify the femininity of his beautiful models. Rolf was the son of a shipping magnate whose declining fortunes eventually forced him and his family to move to Detroit. and took a job as a Steamship Agent. and his mother encouraged him to get some formal instruction. and spent some time refining his art at the Académie Julian. where his brother Paul (a playwright) helped him set up a studio in Manhattan. 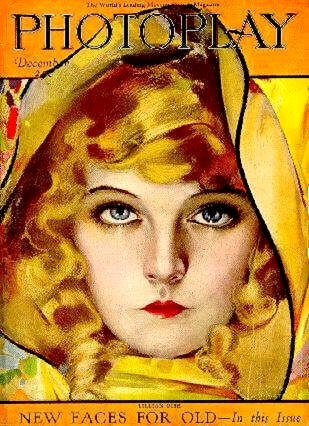 for the cover of ‘Judge’ magazine. and this was a major coup for Rolf. and was recently offered for sale at $13,500. but there are hints to the heights of which his art would eventually reach. 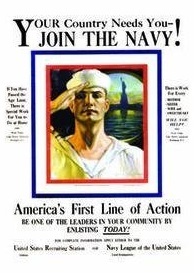 He was achieving some critical success for his fresh and appealing style…..
as demonstrated in his famous 1916 US Navy recruiting poster. and still is considered one of his best works. The perspective, shading, and color are top notch. Look at how Armstrong expresses the personality in the eyes. including James Cagney, with whom he shared an interest in boats, and Boris Karloff. …. Rolf pursued his passion for sailing in the waters off Long Island, and was rarely seen without his captain’s hat. 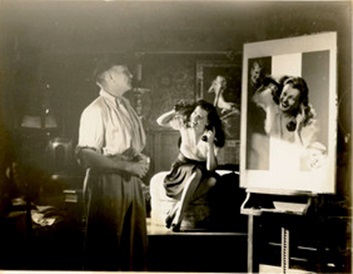 His Manhattan studio was a buzz of activity from 1920 on through to his retirement in the 1950’s. was featured in over 50 of his art works…. he managed to make each image of Miss Flowers as distinct and fresh as the first. which only adds to the collectability and popularity of it. 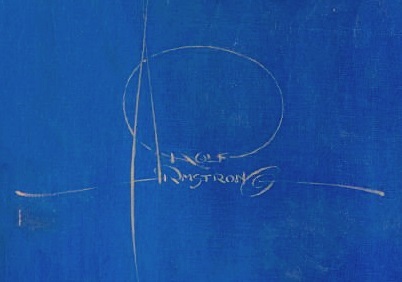 Still, the beautiful art-works Armstrong created number in the hundreds…. 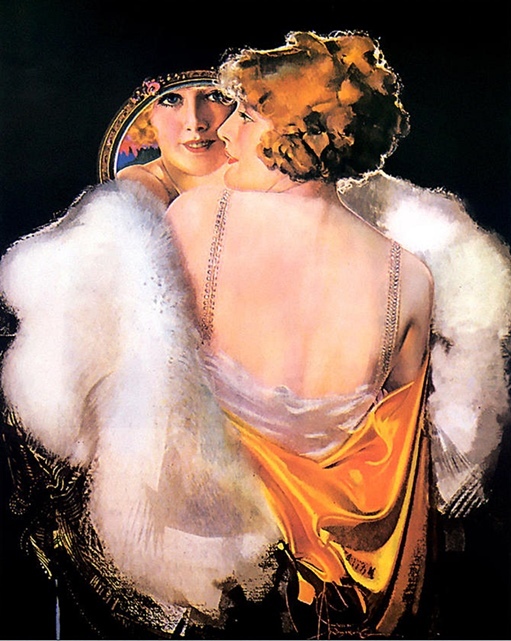 And he is remembered as one of the finest artists in the pin up and glamor genre. Gil Elvgren (1914-1980) was a prolific painter and illustrator of what most people would call “Pin-Ups”. 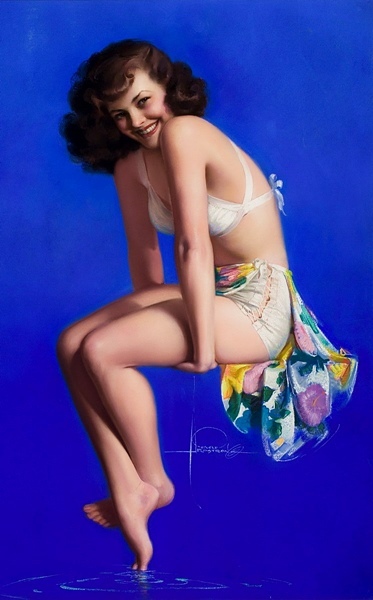 Elvgren’s work is by far the most popular among collectors and enthusiasts, today. 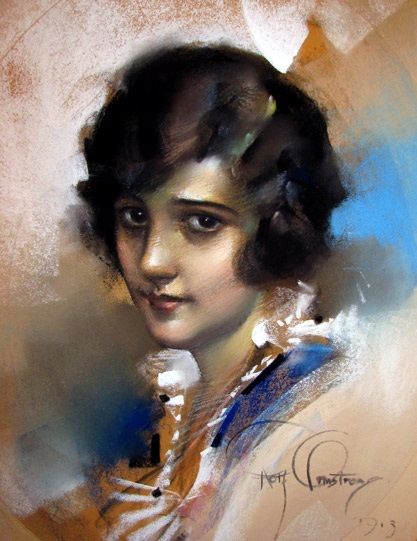 ….. and had the talent of expressing both that beauty and a certain flirtatious, but still innocent, sexuality via his canvases. 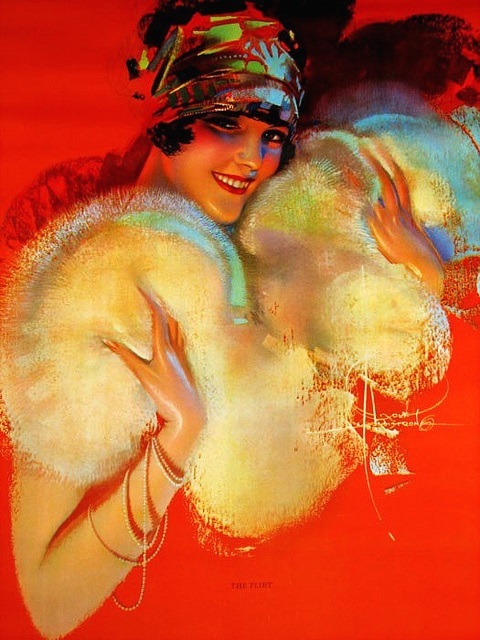 A graduate of the American Academy of Art, Elvgren had been drawing since he was eight, and originally had pursued a degree in architecture, but caught the ‘bug’ for illustration while at the University of Minnesota. 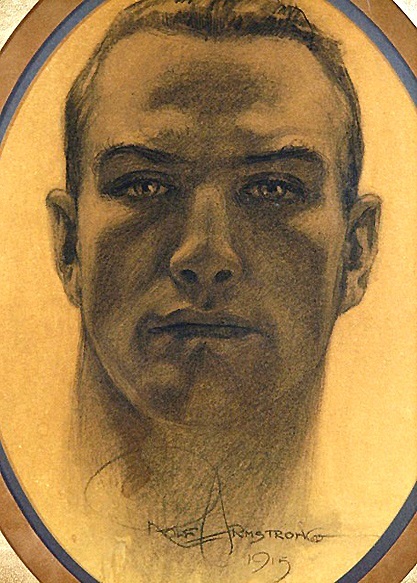 He was influenced by, and drew inspiration from, several important illustrators and artists of the early twentieth century: Haddon Sundblom, Harrison Fisher, Charles Dana Gibson, Howard Chandler Christy, J.C. Leyendecker, and Howard Pyle. Interestingly enough, Elvgren shared many of these same influences with his friend Norman Rockwell, as well as their realistic style of drawing- and they even worked together at Brown and Bigelow in the 1940’s. ……………… and, of course, on the lockers of U.S. servicemen worldwide. 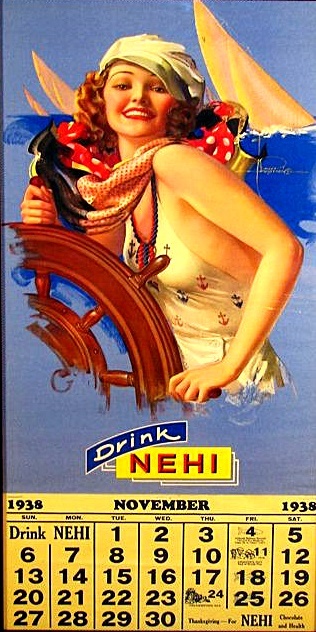 But Elvgren didn’t just draw pin ups…. 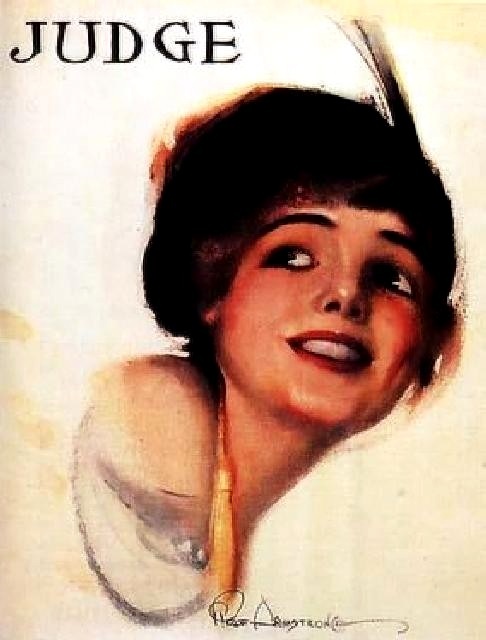 He also illustrated stories for general interest magazines like “Good Housekeeping”, “Cosmopolitan”, “McCalls”, “Womans Home Companion” and the “Saturday Evening Post”. And he did commissions for some of the largest corporate sponsors of advertising art, like Coca-Cola, General Electric, Sealy, Sylvania, Schlitz, Four Roses Whiskey, and Orange Crush. He was a pioneer in 35mm stereo color photography- having been introduced to it, around 1950, by motion picture great Harold Lloyd. ……….. including Myrna Loy, Donna Reed, Kim Novak, and Barbara Hale. 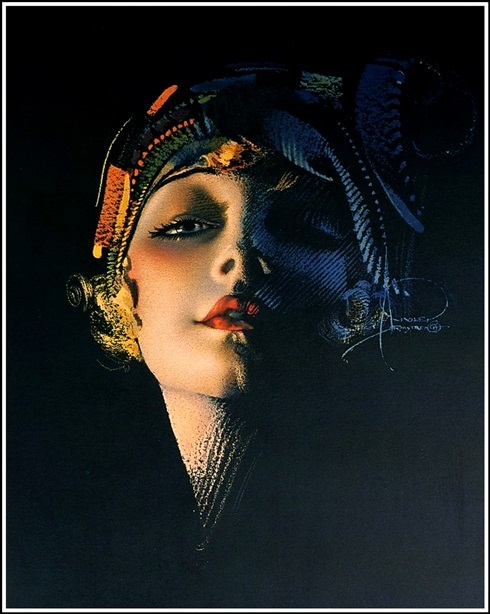 Still, of the all the gorgeous work he did, his pin-ups remain the most well known today. Much of the appeal is how he expresses humor, and the connection between it and the sweet sexiness of his subject. He also liked to include animals in his work..
….. they gave his models a chance to relax, and that quality really comes across. 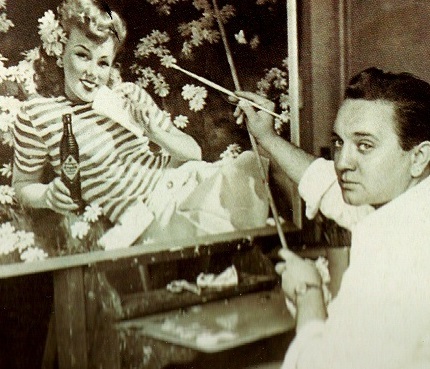 His favorite medium was oil on canvas, which helps gives his work a depth and richness of color that is a unique part of the Elvgren Magic— so smooth that it came to be called “Mayonnaise Painting“. 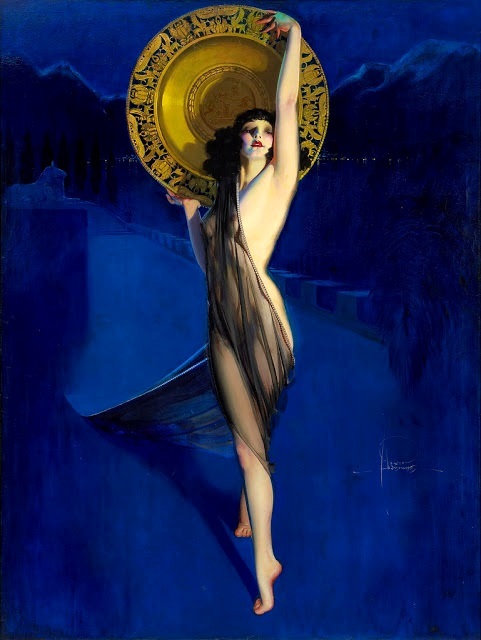 Artists like Al Buell, Joyce Ballantyne, Harry Ekman, and Mayo Olmstead. and for those who wonder how much reality was expressed…..
here’s the actual pose shot for the above piece …..
….. that’s one lucky bear.